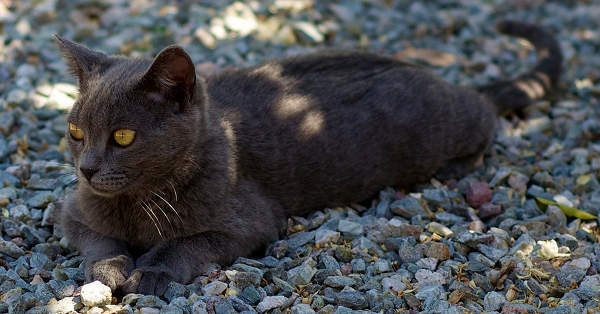 The Korat or Si-Sawat cat has long been a symbol of good luck & fertility to the Thai people. They are often given to brides as wedding presents to ensure a good pairing & long union. The first reference to this breed goes back to an ancient book of paintings & prose called the Cat-Book Poems (which can still be seen in the Natural Library of Bangkok). This book is thought to have been written & illustrated at some point between the mid 14th to med 18th centuries. There are several physical elements of this breed that made the people revere them as lucky. Their bright grey coat is the color of silver & signifies wealth. Their arresting green eyes are the color of young rice stems & that combined with their grey coat (also the color of rainclouds) signified healthy crops & good weather for their masters. Over the years the Thai Book of the Cat has been copied and rewritten several times & there are a number of different copies on display. 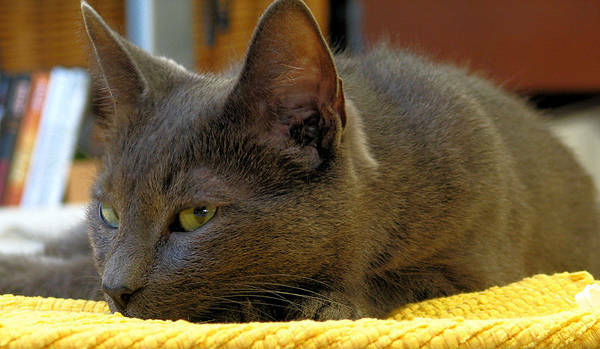 In all of them the Korat is a symbol of good luck. 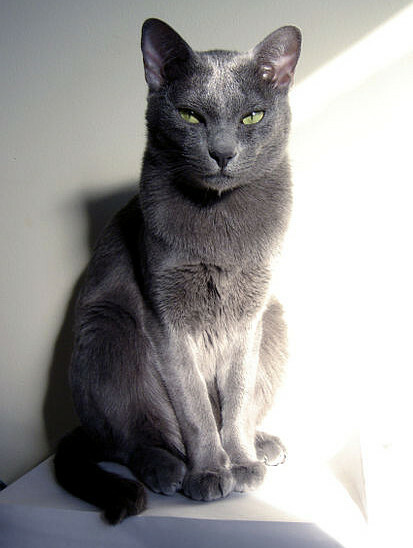 The Korat is a western name for this breed, they are generally referred to as Si-Sawat (see-sah-waht) cats in their native Thailand. The first Korats were imported into the Us in 1959 and became officially recognized by 1966. Korat cats have the most amazing peepers, their big, intense eyes are the cool green of spring blossoms shimmering with dew. This is one breed that doesn’t come in any color other than their unique signature silver-grey. Their hair shafts start out a deep, bluish color which darkens up the shaft, then lightens to a bright shiny silver color. This creates in interesting illusion of light allowing them to appear at times silver like a polished coin and at others the dark grey of an angry storm cloud. We’ve got more ancient cat breed profiles on the way. For now, why not learn more about the ancient Abyssinian, the British Shorthair & the Egyptian Mau breeds?